Freelan O. Stanley may not be a household name for many but his technological and (inadvertent) horror contributions likely ring some bells. Following the successful sale of a dry plate photography manufacturing plant (to the founder of what is now Kodak), Freelan and his brother Francis gained true business notoriety as the creators of the best-selling steam powered automobile, the Stanley Steamer. Unfortunately, Freelan’s success and financial standing did not guard against health maladies of the time. After becoming afflicted with tuberculosis, he along with his wife Flora loaded up their Stanley Steamer wagon, waved goodbye to the coastal shores of Massachusetts and hello to the dry air of the Rocky Mountains – specifically, Estes Park, Colorado. 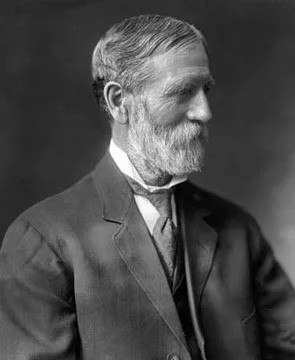 Freelan O. Stanley, creator of the Stanley Steamer motorcar and the Stanley Hotel. Not one to let health concerns get in the way of good business, Freelan had soon purchased over 6,000 acres of land in the park, eventually creating a hydro plant in Fall River and the area’s first distributed pipe water system. Still, that wasn’t enough for this creative entrepreneur, so making a potentially risky business move at the time, Stanley invested upwards of half a million dollars in what is today one of the most iconic hotels in the United States; The Stanley Hotel. Funneling not only money but electricity and water from his other Estes Park businesses directly into the property, Stanley created – according to an Estes Park newsletter, the Trail Gazette – one of the “first hotels west of the Mississippi to have electricity.” Posh, elegant and harboring a certain East Coast flair, the hotel contrasted wildly with the natural, rugged aesthetic of the wild west. Twenty-five miles from the closest railway and sitting at a breathtaking 7,500 feet above sea level, the hotel garnered attention around the country. Business boomed for the first few years, luring in wealthy socialites who longed for fresh air and natural surroundings but with the convenience of their luxury commodities. It wasn’t long, however, before tragedy struck. According to the hotel’s archivist, a thunderstorm lashed out during a warm summer evening in June 1911. Knocking out the power to the hotel, the guests were ushered to the lobby while hotel staff teamed up to light the backup gas powered lamps. 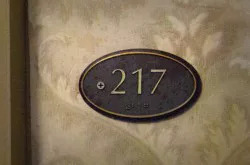 Room 217 (changed to room 237 in Stanley Kubrick’s movie adaptation of The Shining) had an unknown gas leak which was quickly discovered by Elizabeth Wilson as she entered the room holding a candle. Of the three maids injured in the massive explosion (which is reported to have blown up 10% of the 70,000-foot hotel), Wilson survived, continued working for the hotel, and became head chambermaid until her death in the 1950s. Following renovations and repairs, the hotel reopened to a somewhat lackluster crowd. Whether it was apprehension regarding the accident or the flurry of local news reports that seemed to heighten the mystery of the events (Wilson’s name was incorrectly documented in one, survivors were listed as deceased in others, and one even reported that the gas leak should never have occurred considering the lamps were all off at the time of the accident), the popularity of the hotel dwindled. Rumors of ghosts and unexplained events began circulating; further warding off a wary public. Over the years, the hotel changed owners, faced foreclosure and likely would have closed its doors for good had it not been for an intrigued author – hailing from Freelan Stanley’s own home state of Maine – Stephen King. Room 217 – where Stephen King dreamt up The Shining. King and his wife visited the property in 1974 and found themselves to be the only guests at the hotel prior to its winter closure. Perhaps it was the isolation or the haunting tales of the accident that spooked King, but after spending only one night in room 217 and having vivid nightmares of his small son being chased down the long corridors of the hotel, he checked out with frightful inspiration. According to King himself, after waking from his nightmare and in the span of one cigarette he had mentally outlined the plot of what would become The Shining. It was King’s fictional tale of a winter hotel attendant that spawned a renewed interest in the property. Guests checked in with hopes of having their own ghostly experience and if witness testimonies can be believed, many have had them. 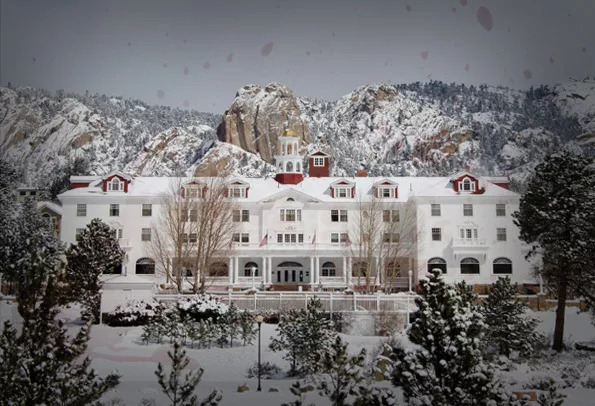 Visitors leave the haunted Stanley Hotel with reports of disorganized luggage, thumping on walls and doors, childlike laughter, and even unusual odors, those being specifically attributed to a ghost named Eddie who earned the nickname “Stinky Man”. (According to hotel staff, however, Eddie apparently resented the nickname and now only produces pleasant smells.) While Elizabeth Wilson did not perish in the accident, it is her spirit that is the most prominent presence at the hotel today. Possibly still trying to organize and tidy up rooms, there are accounts of her presence lingering around room 217, unpacking guest’s suitcases and as reported by a few unwed couples, climbing into bed and trying to separate the sleeping lovers. 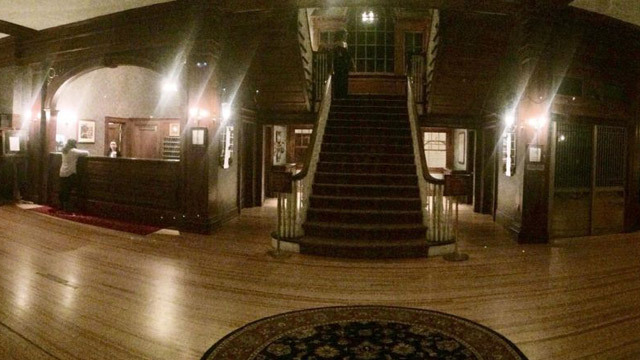 Multiple paranormal experts and film crews have visited the hotel, including Zak Bagans and the Ghost Adventures crew and Syfy’s Ghost Hunters. 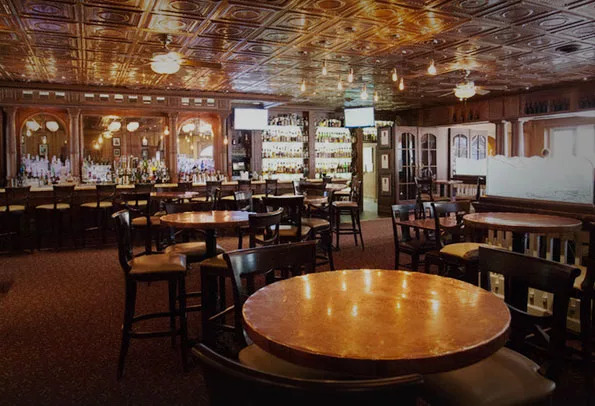 According to the hotel’s own media center, Ghost Hunter’s lead investigator Jason Hawes experienced a glass shattering on his nightstand and doors opening and closing by themselves. The Stanley Hotel embraces its notoriety and paranormal fame by scheduling ghost tours as well as paranormal conferences in advance. Today the hotel brings in thousands of guests annually. 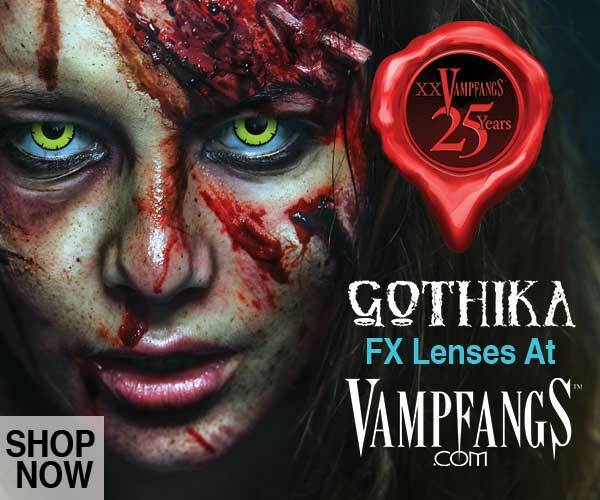 Some are skeptics and others true paranormal devotees looking to reaffirm their own beliefs. Some are history buffs, there to simply admire the colossal monument that marked a new era of technology for the west. Others come as nature enthusiasts, simply looking to gaze upon the natural beauty of snowcapped mountains. The same mountains that so strongly tugged at Freelan O. Stanley’s heart when he first chose the home of his now famous namesake. 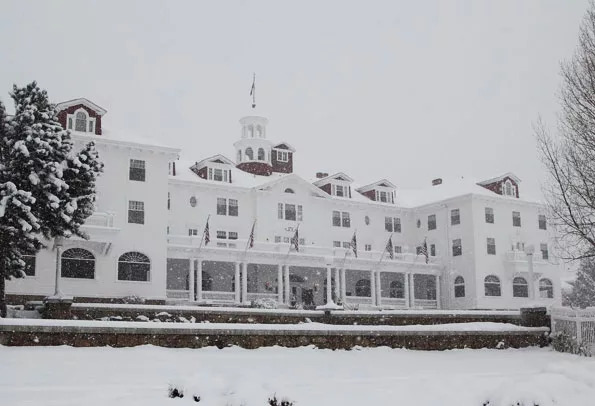 Whatever their reasons, visitors from all over the world flock to the area, and if the tales are all to be believed, it’s likely that the Stanley Hotel will be forever occupied by a few die hard, resident spirits. 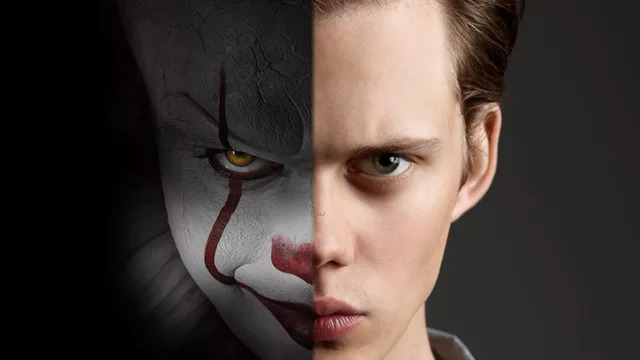 Stephen King’s IT Remake – First Look The Stephen King Universe The Shining 2, AKA Doctor Sleep, in Progress Is the Stanley Hotel Giving Up its Ghosts? Excellent read! I was just in Estes Park Colorado! Beautiful! Get reservations to stay at the Stanley since they are always full. Beautiful everything is just beautiful! I wonder if Jack heard anything while doing the movie there or anyone that was on or around the set? ?